Dr. Graham Ignizio is a Broker Associate and investor at Modern Real Estate. He first moved to Colorado in 2004 and has lived and worked in Denver since 2012. Graham owns and rents properties in the West Colfax/Sloan’s Lake area and is excited to share his personal experience with buyers and sellers so that they can be successful in their own real estate aspirations. Graham is a detail-orientated and driven broker who believes in the importance of straightforward communication with his clients. His priority lies in helping his clients comfortably navigate their real estate decisions and transactions. 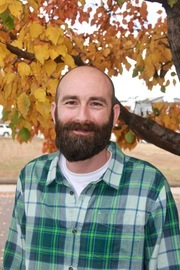 Graham has a background in higher education and is an Associate Professor at MSU Denver. He holds a Ph.D. from The University of North Carolina at Chapel Hill and also has degrees from Middlebury College and North Carolina State University. He also speaks Spanish! ¡Hablo español! Mándeme un email si tiene preguntas. Graham is excited to join the MRE family!